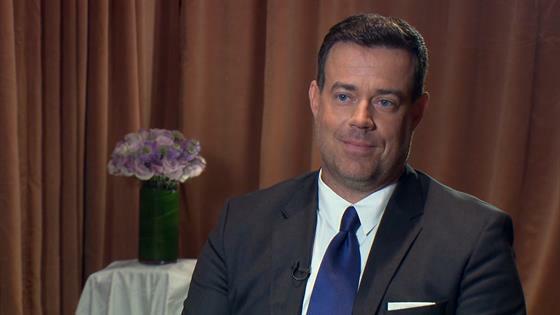 Carson Daly refuses to campaign for the People's Choice Awards but make no mistake, he is excited for The Voice to be recognized. "I will not shill for the award," the Last Call with Carson Daly host told E! News at the NBC Fall TV Junket this month. The NBC singing program is up for Competition Show of 2018 at the PCAs and that's not their only chance at a PCAs win. Brynn Cartelli, The Voice's season 14 winner, also received a nomination for this year's Competition Contestant, which is pretty darn exciting. "Thank you people of people. We appreciate it," the former Total Request Live host added and clearly the people appreciate The Voice as well. Daly will be back for season 15 of the singing competition, premiering September 24th on NBC, alongside The Voice regulars Adam Levine and Blake Shelton and returning coaches Jennifer Hudson and Kelly Clarkson. "We're so busy making it and being on it. It's on all the time that when we get these nominations for awards, Emmys or People's Choice, it's so cool," the Today Orange Room anchor confessed. "It's crazy, you have no idea," Daly continued. "We are genuinely jumping up and down. Everybody is really excited about it. If we win, we win but it is an honor." Don't miss the full interview above and check out the 2018 People's Choice Awards, airing live on E! on Sunday, Nov. 11.